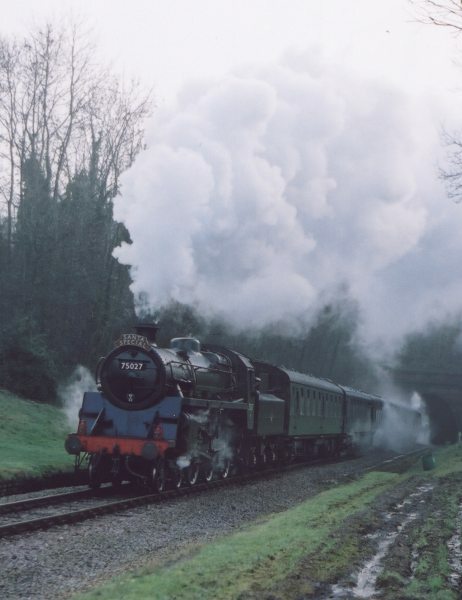 Due to a landslip at Ingwersons between West Hoathly and Kingscote, the Bluebell's Santa trains saw three, rather than the usual two, locomotives in steam. 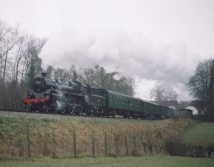 Trains were top and tailed on the section north of Horsted Keynes, and ran as far as the site of West Hoathly station. 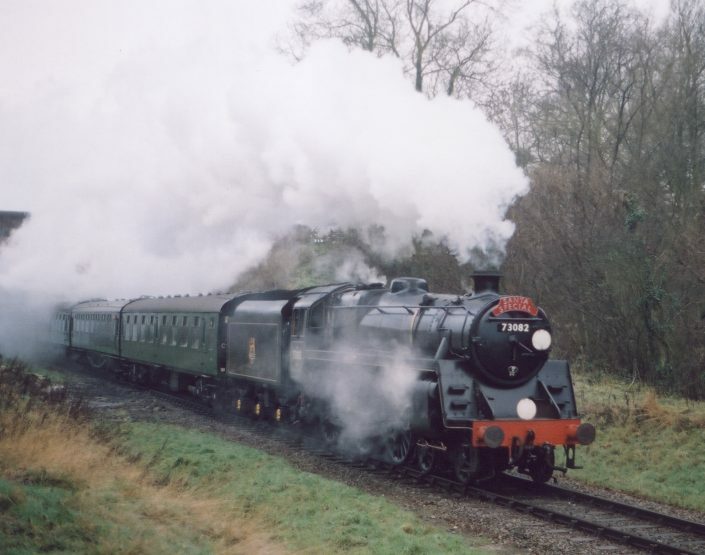 Therefore, the first train from Sheffield Park on Friday 22nd December, the 10.45, ha d to be banked all the way by No.75027. The train locomotive is No.73082 Camelot, seen below approaching Horsted Keynes. 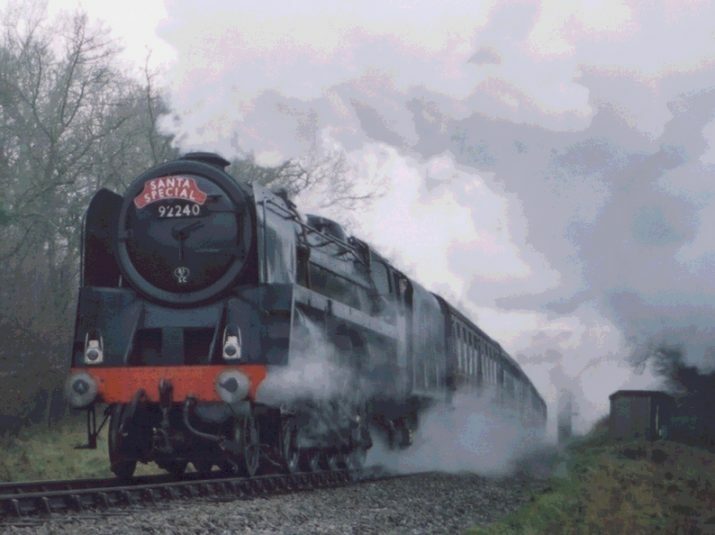 The 11.40 was headed by the 9F No.92240, making easy work of the 1 in 75 gradient up from Three Arch bridge. Bel ow left : BR 4MT No.75027 seen in the same location as the previous photo with the 12.35 service. The same train is seen in bottom right picture, approaching the temporary halt just north of Sharpthorne Tunnel. No. 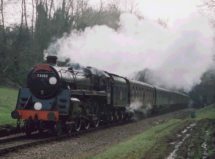 92240 is attached to the back of the train, to allow it to work back to Horsted Keynes. Below : BR 5MT No.73082 Camelot is in charge of the 1.30pm, and has just shut off to coast to a halt. No.75027 is still working at the rear. The vast majority of photos on this site are copyright free. Please feel free to use any of these on your own website for non commercial purposes. If you wish to do this, please contact me first, credit me (Jon Bowers) as the photographer and I would appreciate it if you provided a link to this site. If you do wish to use any of the photos for any other purpose, please contact me. A few photos are copyright (they are clearly marked with the © symbol) and must not be reproduced without my permission.